Basic4ppc is a powerful development environment that targets Windows Mobile devices (Pocket PC) and desktops. Basic4ppc allows you to write code on the desktop or directly on the device. Now you can easily develop your own applications using the included libraries: GPS, Network, Serial ports, FTP, SQL, HTTP, Graphics and many more. - Image and libraries are now embedded in the executable. - Target VGA and QVGA devices with the same application. Download your free evaluation copy now. Basic4ppc supports: Pocket PC 2002, Pocket PC 2003, Windows Mobile 5.0, Windows Mobile 6.0 (including Smartphones) and Smartphone 2003. Liberty BASIC for Windows - Liberty BASIC is an ideal personal Windows programming tool. Great for light programming or for learning to program (tutorial included). Create your own utilities, games, business apps and more. Large online community. Special classroom pricing! ActiveComport Serial Port Toolkit - Serial port toolkit to enable applications or scripts to communicate with a modem or other serial port device. 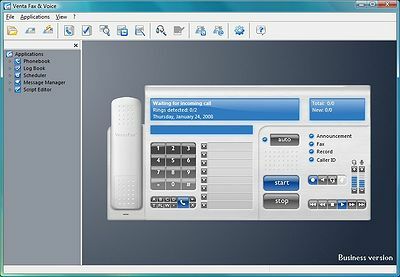 Features full com port control, binary and ASCII data transfer, support for RS 232 and RS 485 standards and ISDN modem support.